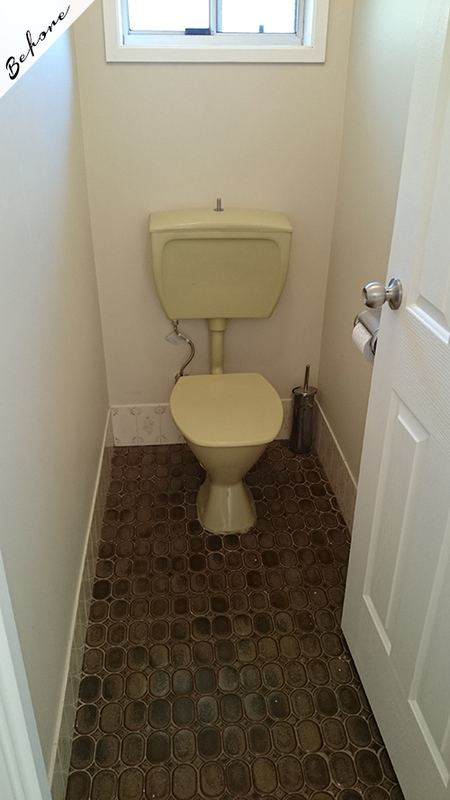 This home was recently purchased but before moving in the new owners wanted to rejuvenate the main bathroom and toilet room. 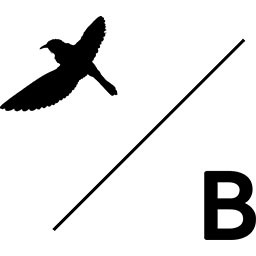 Both of which were in a dated and dilapidated state. The existing bathroom housed a small shower, vanity and bath that was too shallow to actually be covered by water if someone was to use it. Lounging in a bath was not high on the priority list for the owners so we made the decision to remove the bath altogether. 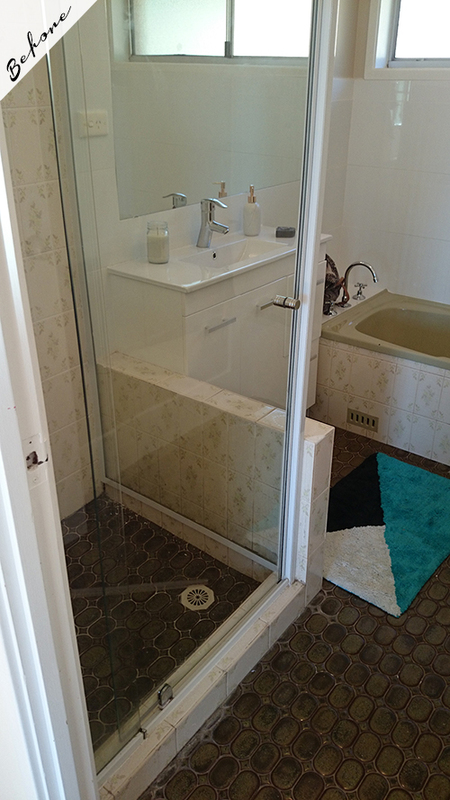 In its replacement we designed an oversized shower which runs the width of the room. 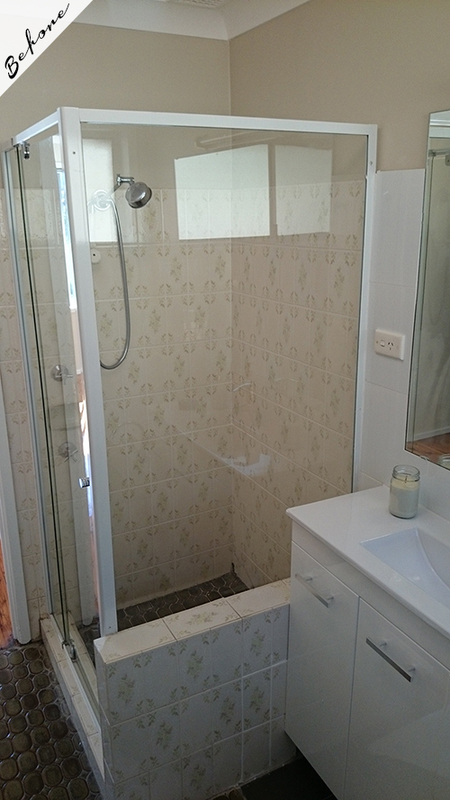 The style of the shower is a walk-in with a 1500mm fixed panel to ensure no water escapes. A tile inset wall-to-wall shower grate was installed which will catch any water trying to escape out of the doorway, it’s that subtle in appearance you’ll have to search to find it on the ground. 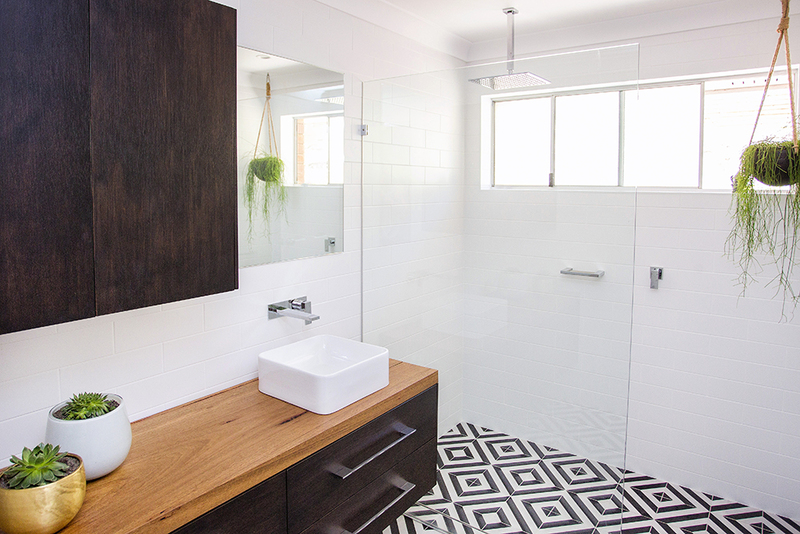 A solid timber benchtop provides a beautiful warmth to this monochromatic scheme. 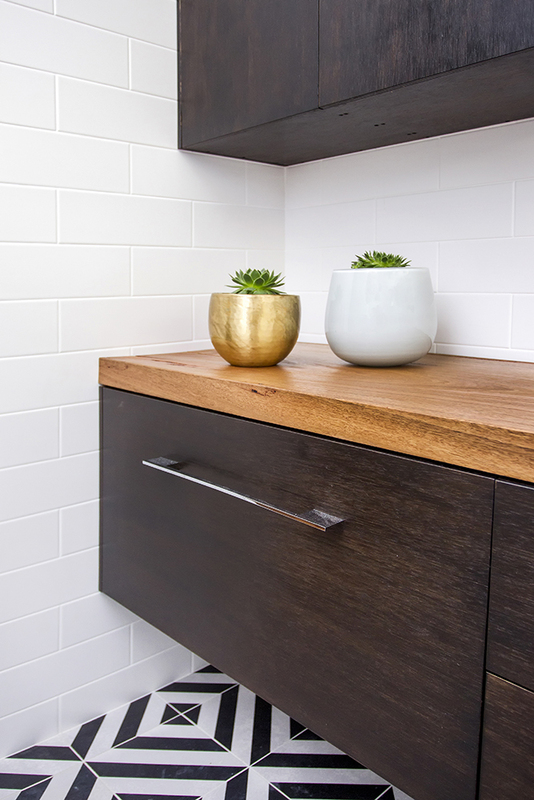 Custom joinery sits under the benchtop and also above, providing adequate space for toiletries and cleaning products. 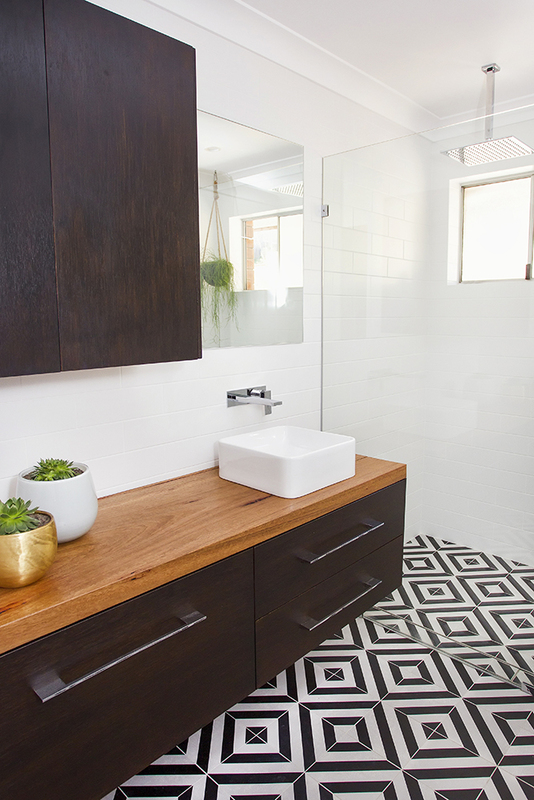 The hero of the room has to be the black and white geometric tiles. 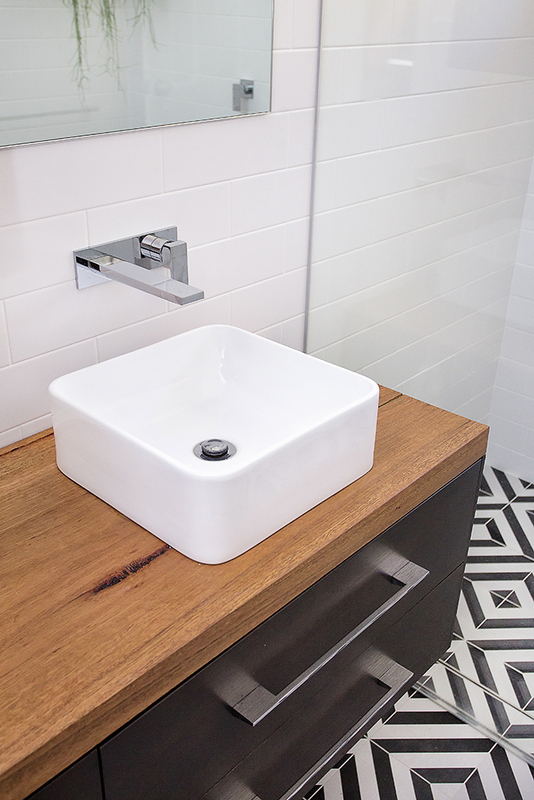 We were conscience in allowing these tiles to be the feature without any competition and they certainly work paired with the matt white subway wall tile. 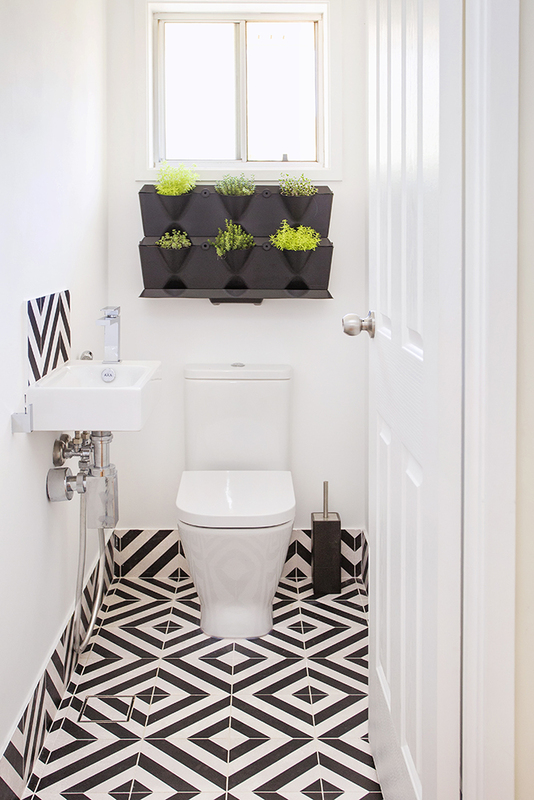 The toilet room which sits at the end of the hallway is a continuation of the bathroom with the feature patterned tiles. A nice little addition is the vertical garden that the owners added in. Even if the door remains open you’ll have something lovely to look at. 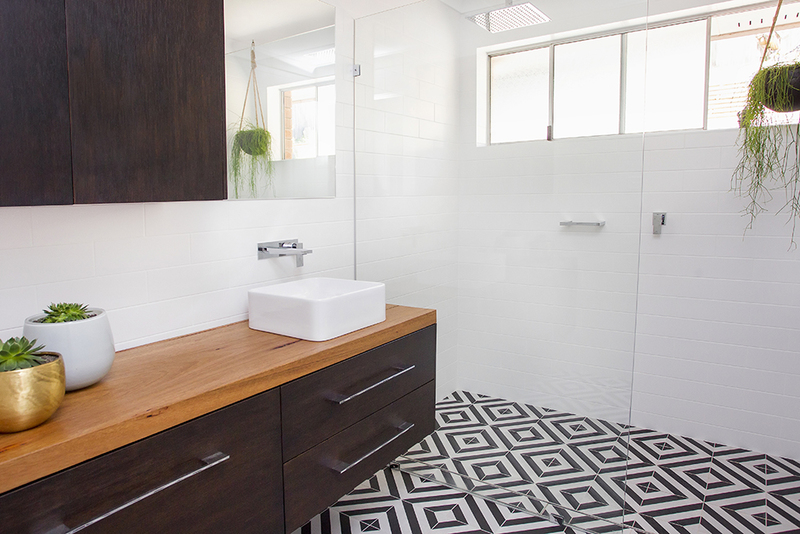 "When we purchased our house in Farmborough Heights, we both knew that the bathroom renovation was an absolute priority. 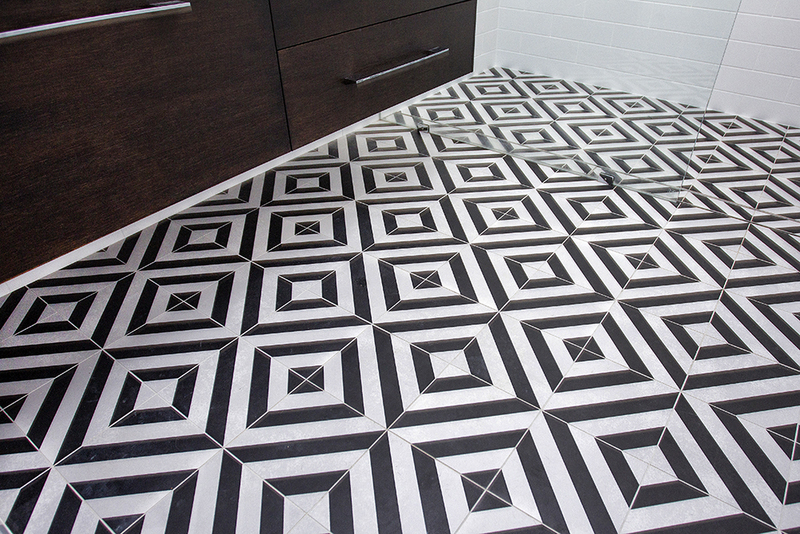 After a little pinterest search, we had found our floor tiles but that was it! Having never renovated before, we knew that we would need some guidance. After some research, we were impressed with what we found with Sarah's previous design work and qualifications. Sarah and her assistant Georgia came to our house and we discussed what we 'had in mind'. We then met with Sarah at various bathroom accessory stores (and the bathroom tile store that stocked our original tile idea) and she guided us and offered suggestions. After this consultation we received design specifications for trades as well as purchasing advise for the accessories we chose. We consulted with our builder who then gave the specs to all of the trades involved- plumbers, tilers, electrician, carpenter and the for the builder himself (as the bathroom was literally 'gutted'). Sarah listened to all of our requirements for our dream bathroom, and we received exactly what we wanted. All of the trades worked off the specs and it was so easy! This was the absolute opposite of what friends who had renovated previously had spoken to us about their own experiences. 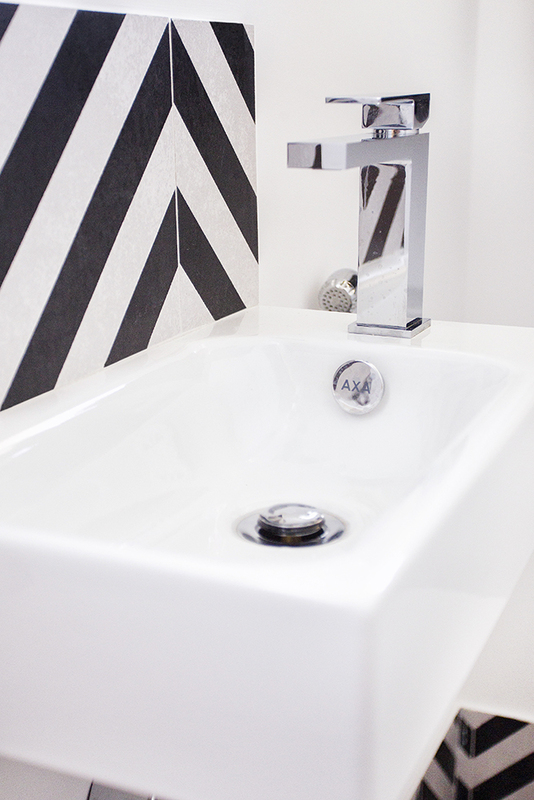 I cannot recommend Sarah and her team highly enough, we are so happy with our bathroom, it makes me smile every time I walk into it!"